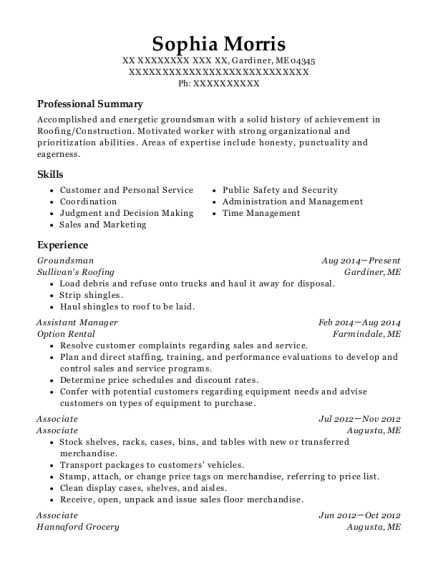 I am a hard worker who is seeking a lifelong career opportunity. Im capable of working at a high pace, high intensity, and with good detail. Im a quick learner and one you can depend on. Execute proper knots, rope skills, and chainsaw cuts. Work quickly and accurately while maintaining safety. Operate boom trucks, loaders, stump chippers, brush chippers, power saws, trucks, and other equipment and tools. This was a role of responsibility I was given a building key and required to do much of my job solitarily. Use tools ranging from common hand and power tools, such as hammers, hoists, saws, drills, and wrenches, to precision measuring instruments and electrical. 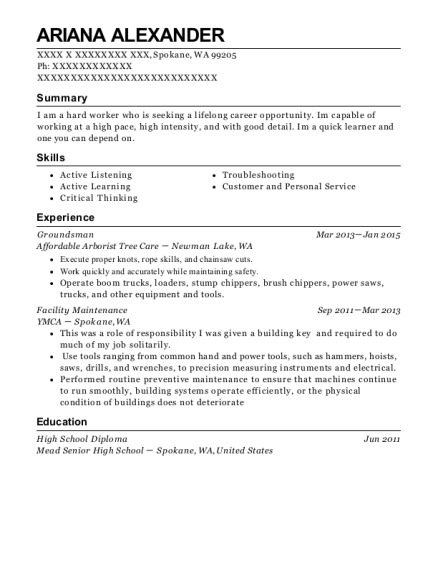 This is a resume for a Groundsman in Spokane, Washington with experience working for such companies as Affordable Arborist Tree Care and YMCA. 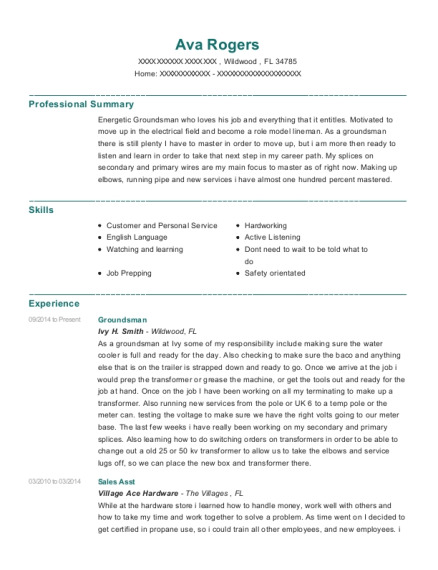 The grade for this resume is 0 and is one of hundreds of Groundsman resumes available on our site for free. 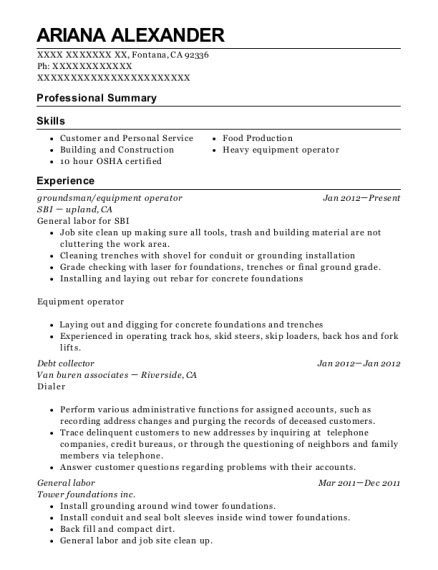 Use these resumes as templates to get help creating the best Groundsman resume.